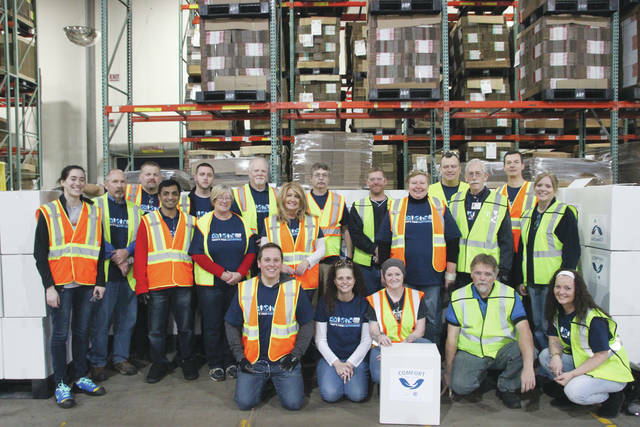 Domtar Corporation employee volunteers from the company’s personal care manufacturing facility in Delaware recently assembled and delivered 1,500 baby care packages to local non-profit organizations in the community. Domtar Corporation employee volunteers from the company’s personal care manufacturing facility in Delaware recently assembled 1,500 baby care packages for donation to a number of local nonprofit organizations that help support underserved families in the greater Delaware area. The donated care packages included baby diapers and children’s books. Domtar makes a wide variety of everyday products from sustainable wood fiber, such as copy paper and diapers. Domtar’s Delaware facility employs approximately 230 people in the local community. The packages were delivered to the Newborn Home Visiting Program, Pregnancy Resources of Delaware County, Willis Pacer Pantry, Liberty Community Center, Columbus Diaper Coalition, People in Need, Lutheran Social Services, Common Ground, and United Methodist Community Ministries. The Domtar Comfort and Care Program has helped alleviate financial and emotional stress for families in need by donating hundreds of thousands of diapers to charitable organizations in the last year alone. The new board books included in the baby care packages were donated by Domtar through its partnership with First Book. As part of its Powerful Pages campaign, Domtar has partnered with First Book, a nonprofit social enterprise that provides books to children in need, since 2012 to provide more than half a million dollars in grants to schools and programs in towns that are home to Domtar facilities. Domtar’s grants provide funding to educators to purchase books through the First Book Marketplace, a website available exclusively to First Book programs, and then the school’s children are able to bring home the new books.